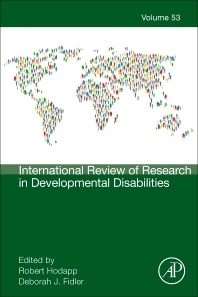 International Review of Research in Developmental Disabilities, Volume 53 provides a scholarly look at research on the causes, effects, classification systems and syndromes of developmental disabilities. Chapters in this new release include topics such as Parent Child Interactions in Neurodevelopmental Disorders, Self-Regulation in children with autism spectrum disorders, Social cognition in neurodevelopmental syndromes, Telehealth anxiety services for individuals with adolescents with autism spectrum disorder, Adult Siblings of Persons with Intellectual Disabilities: Past, Present, and Future, and The Special Promise of Telemedicine to Address Health and Behavioral Needs of Persons with Autism Spectrum Disorders. Contributors in this ongoing series come from wide-ranging perspectives, including genetics, psychology, education, and other health and behavioral sciences. Dr. Deborah Fidler is a Professor in the Department of Human Development and Family Studies at Colorado State University. 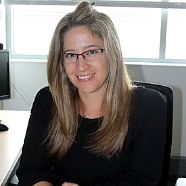 Her research expertise is in the area of early development in individuals with neurogenetic syndromes, with a particular focus on the behavioral phenotype in Down syndrome and its implications for intervention and educational practice.